Famous for: Viewpoint, photo point and sightseeing. Visiting Time: Open for 24 hours. Advisable to visit from 8 AM to 7 PM. Duration of Visit: 30 minutes to 60 minutes. Every year lakhs of tourists’ flock to the queen of hills i.e. Mussoorie. A popular tourist destination and a world-renowned hill station since the colonial times. This little sleepy town served as the summer capital for British India during the colonial era. 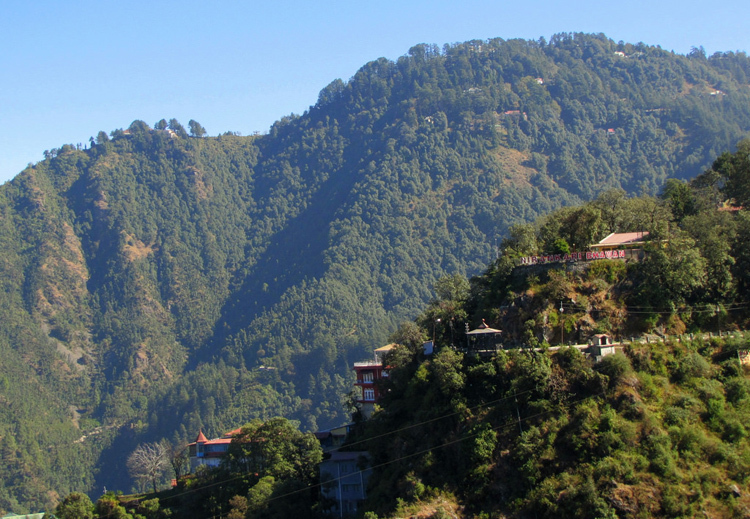 Mussoorie houses a myriad of tourist attractions of which Lal Tibba or the Red Hill is a notable one. The following article is a comprehensive guide on the same and will try to cover all the major topics. Don’t forget to take your camera or handycam with you as the place offers a view point for some captivating scenery of the hills around Mussoorie. But the rugged terrain has its own dividends to offer in the form of breath-taking views of Mussoorie. Roam around the place, breath in that fresh cold mountain area and have some cutting chai from the nearby shops while you are immersed in the vistas of magnanimous Himalayas and sleepy town of Landour. Other points of interest such as char dukan and picture palace can also be spotted from here. There is no need to hire a guide or avail their services. The place is pretty much self-explanatory. Mussoorie being a hill station sits at an elevation of 4500 feet above sea level. So, it is advisable to visit the hill station during the summer months. Especially between the months of April and June, during which the weather is quite pleasant. The temperature varies from 13 degrees to 22 degrees of Celsius which is quite comfortable for sightseeing. 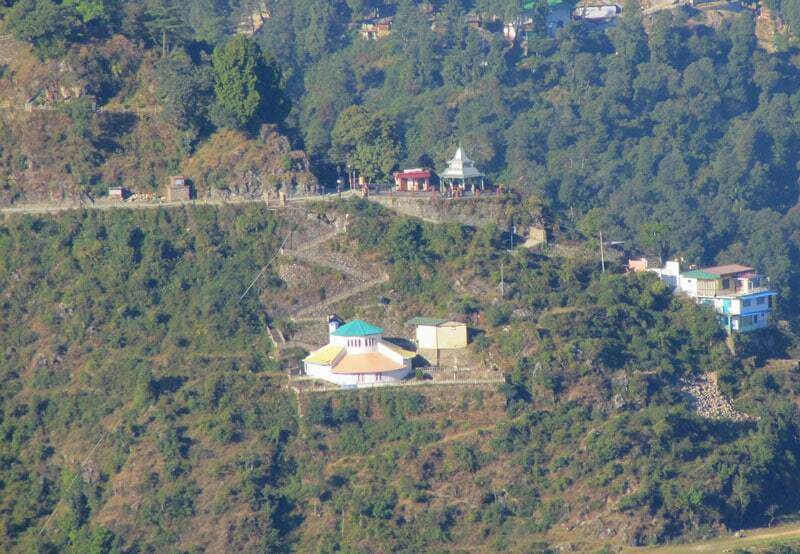 Lal Tibba is 7 kilometres from Library, Bus Stand of Mussoorie. It is a bit far from the Lakkhi Bagh, Dehradun Railway station and is 38 kilometres away. If you have flied in, then we would suggest you to take the route which goes via Mussoorie Road as the Lal Tibba is then about 72 kilometres away from the Jolly Grant Airport. Other modes of transport such as private taxis and travellers are also available. Lal Tibba is situated at the top of Depot Hill in Landour. If you look attentively then you can even see the peaks of Kedarnath, Badrinath and Banderpaunch. Lal Tibba is one of the highest points of Mussoorie and stands at an elevation of 2275 metres from the sea level. A primary tourist spot which always finds its place on every traveller’s bucket list who comes to visit the beautiful hill station of Mussoorie. A telescope erected by the municipality also aids the tourists to observe the scenic beauty at a closer level from this viewing spot. Some of the best scenic pictures of Garhwal Himalayan Ranges can be captured from this viewpoint. All in all, Lal Tibba is a must visit place for those who want to interact with the nature at a deeper level.